Californian voters will head to the polls on Tuesday, and while almost all of the attention is on the Democratic side, there is, technically, a Republican presidential primary in the state on the same day. Hillary Clinton has a narrow lead in the state, but what’s going on in the Republican race? Is it possible that Donald Trump could lose California? Not really. Okay, sure, by the narrowest possible definition of the word “could,” it is correct to say that Trump could lose California. He’s the last Republican in the race and is essentially running unopposed, but the names of candidates who’ve withdrawn will still appear on the ballot. And there’s always a space for write-ins, too, so it’s physically possible for enough voters to cast a ballot for other candidates such that Trump would be denied the majority of delegates from the state. But this is a fantastical scenario that a) won’t happen and b) won’t affect the outcome of the primary if it does. To the first point, it’s worth remembering that Trump had an average lead of 38 points in California during the last month of polling in the state. Republicans in the state appear to be thrilled at the prospect of voting for the Donald, and there’s no reason to think that’s changed. To the second point, Trump has already won enough delegates to secure the Republican nomination. Although it looked for quite some time as if the Republican convention was going to be contested, Trump clinched the nomination after the Indiana primary. It might not sound very democratic, but from a strictly mathematical standpoint, the votes of California Republicans in the presidential primary don’t matter and are essentially irrelevant. This is not to say, however, that Republicans in California simply shouldn’t bother voting. To the contrary — there are plenty of other questions on the California ballot that Republicans (and Democrats) in the state might have an opinion on: A nonpartisan Senate primary, a ballot proposition and depending on the district, several local races. Those are important things to vote on. The presidential race, though, isn’t. 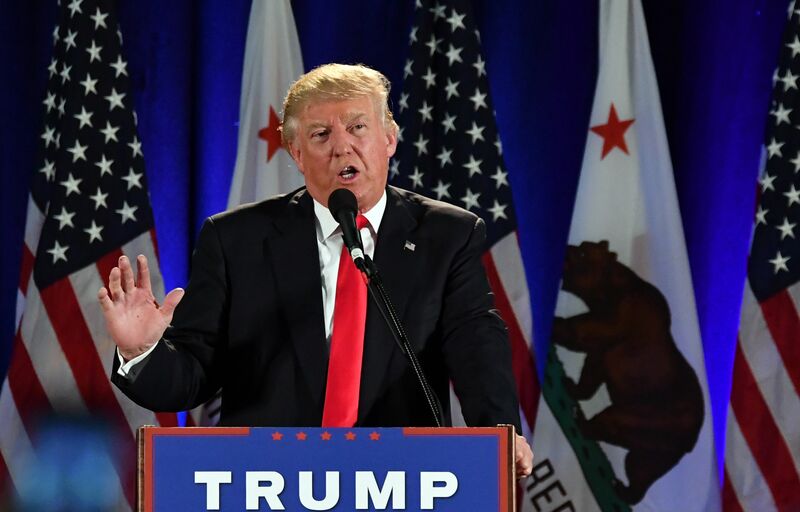 Trump will probably “win” the irrelevant California primary. The general election is a whole other question, however: While he’s been publicly optimistic about his chances of putting California in the GOP column in November, Trump currently trails Clinton by 24 points in the state. Additionally, no Republican has won California in a general election since Ronald Reagan in 1988. Trump may be victorious in California primary, but it’ll probably be the last victory he has in the Golden State.